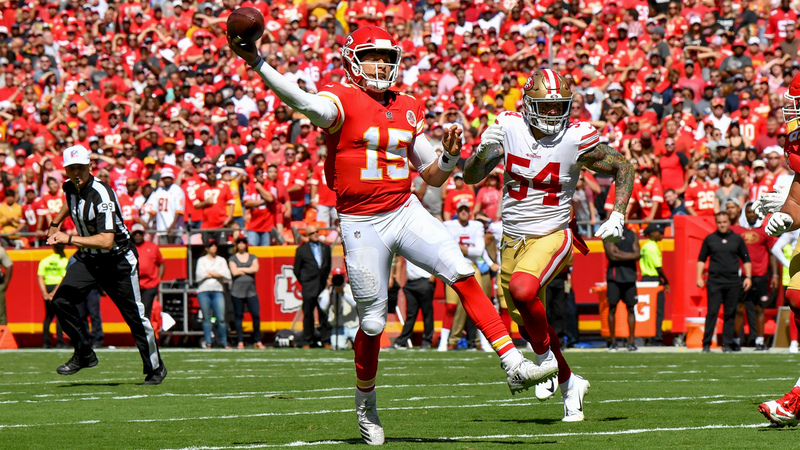 A 16-year-old Patrick Mahomes made a play eerily similar to his highlight against the 49ers. Chiefs first-year starter Patrick Mahomes submitted an early contender for touchdown pass of the year yesterday. Not only did he run 20 yards behind the line of scrimmage to avoid the rush, he fired a wrong-footed sidearm strike on the run right into Chris Conley’s bread basket. It was a jaw-dropping play, but I have a feeling Mahomes’s high school teammates weren’t too surprised. Before Sunday’s game, Mahomes’s high school coach sent The MMQB’s Robert Klemko a highlight of a then-16-year-old Mahomes making a very similar play. Mahomes, the son of a former MLB pitcher, credits his ability to make improvisational throws like that to his baseball background. Do you think people still care about Tiger Woods? Tiger won the Tour Championship yesterday in Atlanta, his first tournament victory in more than five years, but it looked more like a religious pilgrimage. The sight of the massive throng of fans following Tiger up to the 18th green is one of the best sports moments of the year. The one thing all NFL fans can get behind is that the new “body weight” rule for roughing the passer is a total disaster. Clay Matthews was the latest victim, after getting screwed by another crazy penalty last week, but you can see it make a major impact in plenty of games every Sunday. The Coyotes are wearing their classic 90s jerseys as an alternate this season and goalie Antti Raanta has the sweet pads to match. ... This was a really interesting story about a baseball team that plays half its games in Mexico and half in Texas. ... Josh Allen’s touchdown run was the 13th-fastest run by any player this week. ... Some scientists ran an experiment where they gave MDMA to octopuses. ... At least RZA is a fan of Maroon 5 playing the Super Bowl halftime show. At the 15-yard line, no less!